John and Christine, along with supporters Peter and Sandra Anderson and Judy Campbell, spent a week at the Refuel festival in the Gordon Castle estate. This is home ground for the Carneys as the site is just 3 miles from their home. 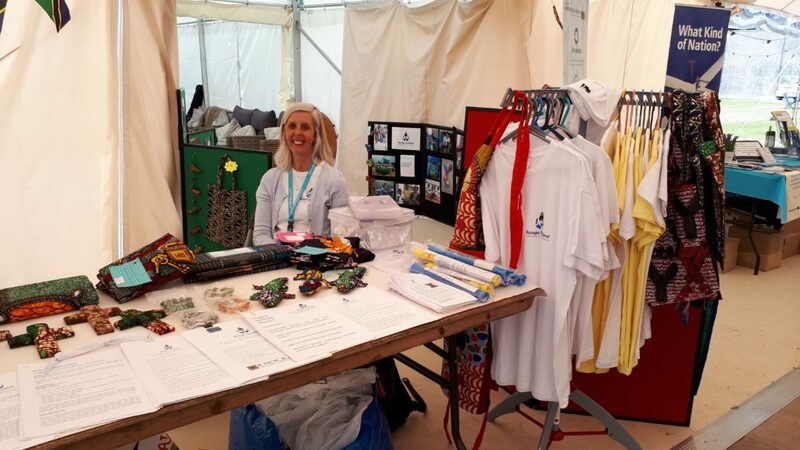 Refuel is Christian festival and Busega Scotland has been invited for the last two years to have a stall in the Marketplace, along with many other charities. Our stall was well stocked with African crafts, cloth, shopping bags, t-shirts, jigsaws and Mayega shukas. We had a particular focus on Shida. 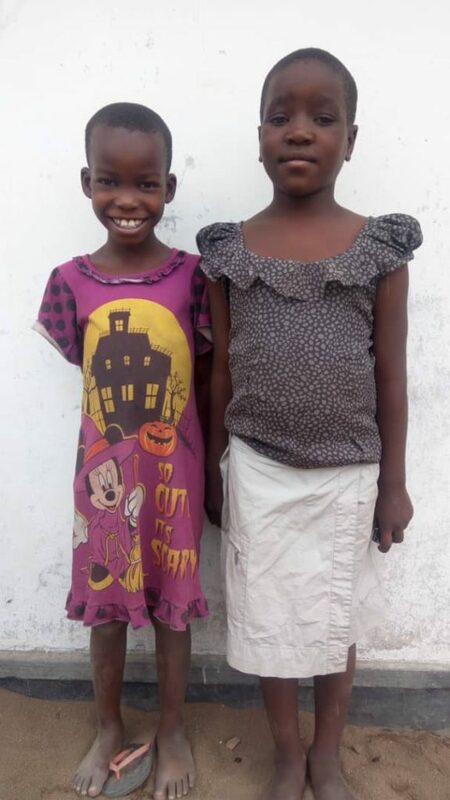 Previous items on this website tell the story of how she arrived at Mayega Children’s Centre with severe sight problems. Prompt treatment has led to sight returning in her right eye and she will return to hospital in August to treat a cataract in her other eye. This involves a 1,000 mile round trip. She is such a brave and positive young girl. The sales and donations at Refuel amounted to £375 (including Gift Aid). The estimated cost of Shida’s treatment and expenses is £1200. Busega Scotland will meet these costs but it is a significant and unexpected demand on our funds. If any readers wish to contribute to Shida’s treatment then this can be done in the usual ways, including the Donate Now button on our website’s front page.